From 12 to 14 March 2019, the converting industry will meet for the 11th edition of its leading exhibition, ICE Europe, at the Munich Trade Fair Centre in Germany. With a total of 11,500 m2 net exhibition space and 463 exhibitors from 25 countries, this year’s ICE Europe is bigger than ever. The most important exhibitor countries are Germany, Italy, the United Kingdom, Switzerland, and the United States. The international exhibitors present their machinery, systems, accessories and services for the finishing and processing of flexible, web-based materials, such as paper, film, foil and nonwovens. Live demonstrations are a particular focus at many of the exhibitors’ stands as well as the exchange of expertise on prevailing industry trends, such as digitalisation, individualisation and sustainability. Four exhibitors who stand out due to their extraordinary achievements in these areas will be honoured with the ICE Awards 2019 during an official ceremony. For the first time, a special area will be dedicated to the future markets of special films and extrusion. This year’s ICE Europe will focus on some of the main challenges of the converting industry: the digitalisation of production processes, the individualisation of products, and sustainability of materials. ‘More than 460 exhibitors will present their technological developments at ICE Europe 2019’, explains Liljana Goszdziewski, Exhibition Director of ICE Europe, on behalf of the organisers, Mack Brooks Exhibitions. ‘The range of innovations spans across all areas of the exhibition profile, from processing technologies for biodegradable materials, new functional coatings, intelligent sensors for real-time measurement and inspection systems, to innovative cutting and winding techniques for diverse web-based materials, such as tapes, technical textiles, composite materials, nonwovens, paper, and special films. Due to ongoing digitalisation and high levels of innovation, visitors will be able to discover many novelties at ICE Europe 2019’, Liljana Goszdziewsk i continues. For the first time, ICE Europe offers adedicated ‘Special Film & Extrusion Area’ to the future market of special films and extrusion. The production and converting of special films is an important growth market for the converting industry. Special films fulfil diverse functions and can be used in various end products. Examples include the coating of touch panels and displays as well as food packaging, where they are used because of their barrier properties. They also play an important role in the production of medical implants. The ‘Special Film & Extrusion Area’ covers the exhibit categories of special films (battery films, biopolymeric films, high barrier films, optical films, weatherable films and other special films) and extrusion (extrusion lines for blown films, extrusion lines for flat films and sheets, welding machines and calendars). With the ICE Awards 2019, ICE Europe highlights the most important industry trends and honours exhibitors who stand out due to best practice, excellence, innovation and extraordinary achievements in the converting industry. Many exhibitors from various countries have submitted their entries in four currently important categories: ‘Digital Converting Solutions’, ‘Sustainable Products and Manufacturing Processes’, ‘Efficient Production Solutions’, and ‘Special Film Innovations’. The winners have been selected via an online voting and will be honoured with the ICE Awards 2019 during an official ceremony on the first day of the show, 12 March 2019, 3:00 PM, in hall A5, stand 1876. All exhibitors and visitors of the show are invited to attend. A total of 463 exhibitors from 25 different countries have booked their stand space at ICE Europe 2019 and cover 11,500 m2 of net exhibition space. The booked net exhibition space has grown by 4%, compared to the total exhibition area of ICE Europe 2017, the number of exhibitors has grown by 8%. The show is thus bigger than ever. 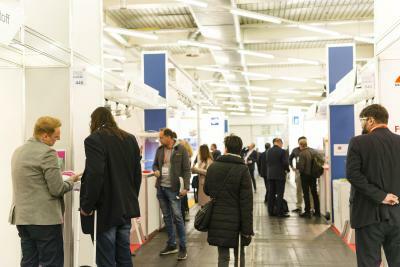 The majority of exhibitors at ICE Europe 2019 are from Germany, Italy, the United Kingdom, Switzerland and the United States, with German exhibitors making up 52%. As a specialised trade fair, the exhibition profile of ICE Europe 2019 includes all main areas and manufacturing processes of the converting of flexible, web-based materials, such as paper, film, foil and nonwovens. The exhibition covers materials, coating/laminating, drying/curing, (pre-)treatment, accessories, slitting/rewinding, flexographic/rotogravure printing, finishing, factory management/waste removal/recycling, retrofitting/machine upgrades, toll coating/converting/slitting, control, test & measurement, production process management, services, information & communication, and (semi-)finished products. 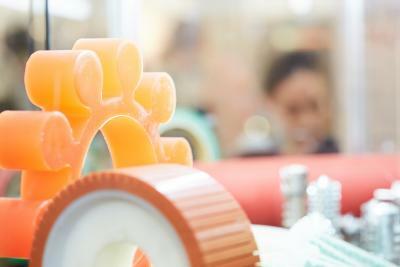 The ‘Special Film & Extrusion Area’has been added to the exhibition profile. Once again, ICE Europe will take place alongside CCE International, the 4th International Exhibition for the Corrugated and Folding Carton Industry, which will open its doors in hall B6. Tickets for ICE Europe 2019 also grant access to this co-located event. This year’s CCE International presents innovative technologies, production systems and solutions for the manufacturing and converting of corrugated and cartonboard. The focus will be on the opportunities and challenges of digital print. This will also be the main topic of the series of open seminars, which all visitors may attend free of charge. ICE Europe 2019 will take place in halls A5 and A6 at the Munich Trade Fair Centre in Germany. CCE International 2019 will take place in hall B6. Both shows will be open on Tuesday, 12 March 2019, and Wednesday, 13 March 2019, from 9:00 AM to 5:00 PM, and on Thursday, 14 March 2019, from 9:00 AM to 4:00 PM. Tickets for both shows are available in the Online Ticket Shop on the show website. Day tickets are available for €24 online and €38 on-site, season tickets are available for €34 online and €50 on-site.